Summer is quickly coming to an end, but that doesn’t mean that it is too late to make travel plans. For those looking for a late summer adventure, look no further than our own beautiful New York State. 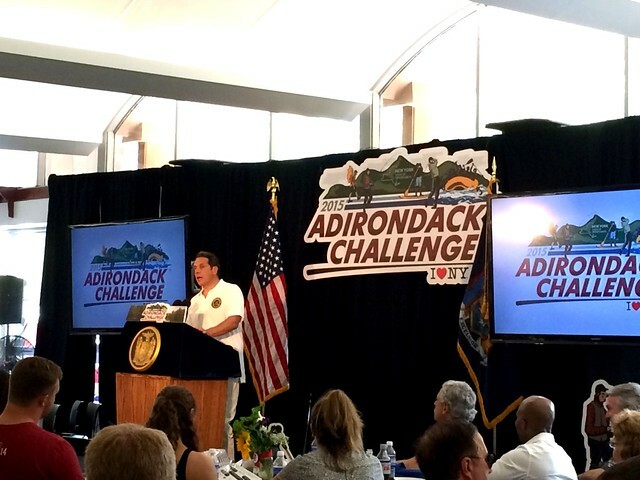 Ever since Governor Andrew Cuomo took office in 2010, he has vowed to promote tourism in Upstate New York. 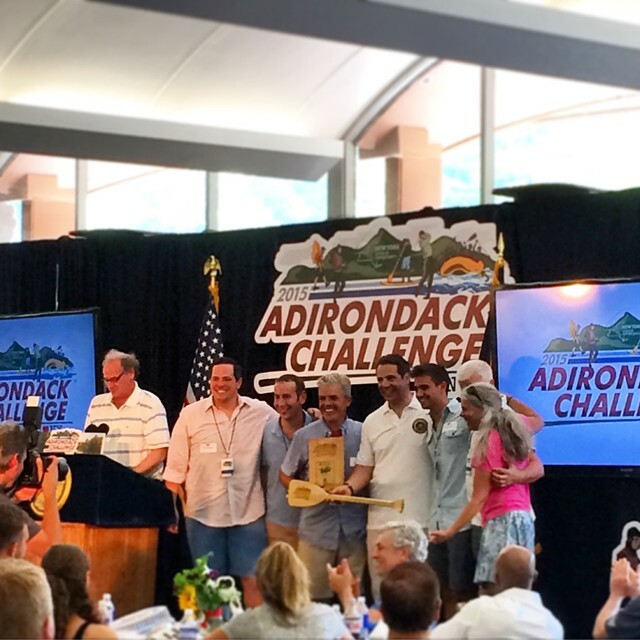 He launched the Adirondack Challenge, which are held in both the summer and winter, to promote tourism and showcase all of the beauty and activities that the North Country has to offer. 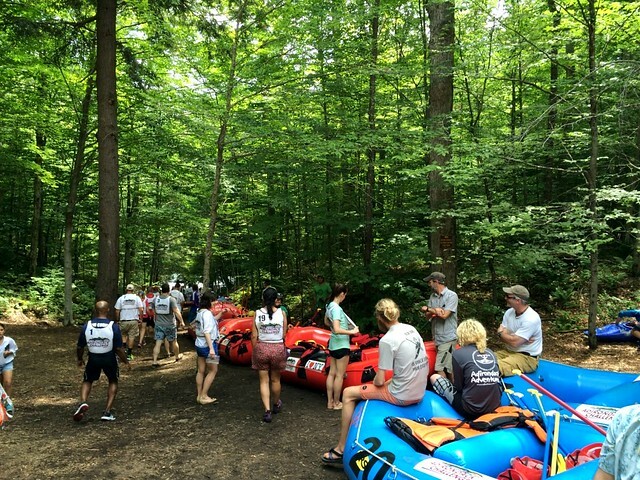 In the third annual summer Adirondack Challenge, including whitewater rafting, hiking, golfing, fishing, and horseback riding. There are over 600 trails for hiking, cross-country skiing, and snowshoeing, and a slew of other winter activities. 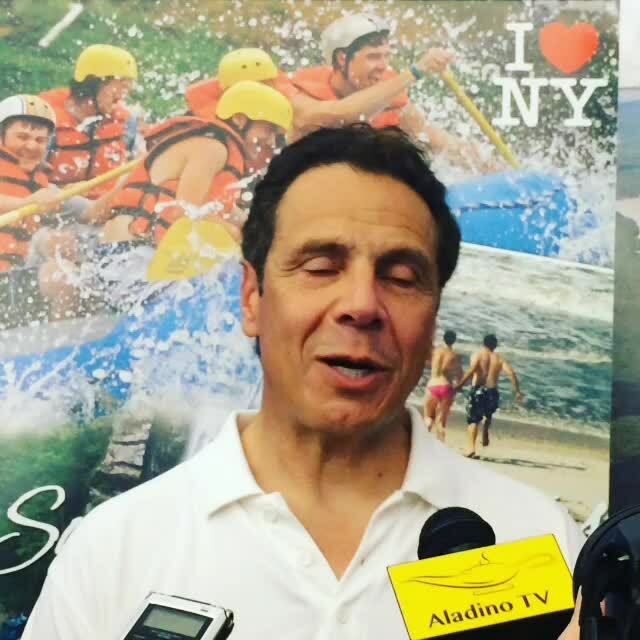 We tagged along as Governor Cuomo as he went whitewater rafting down the Hudson River where he boarded a raft with with his staff and his two daughters. 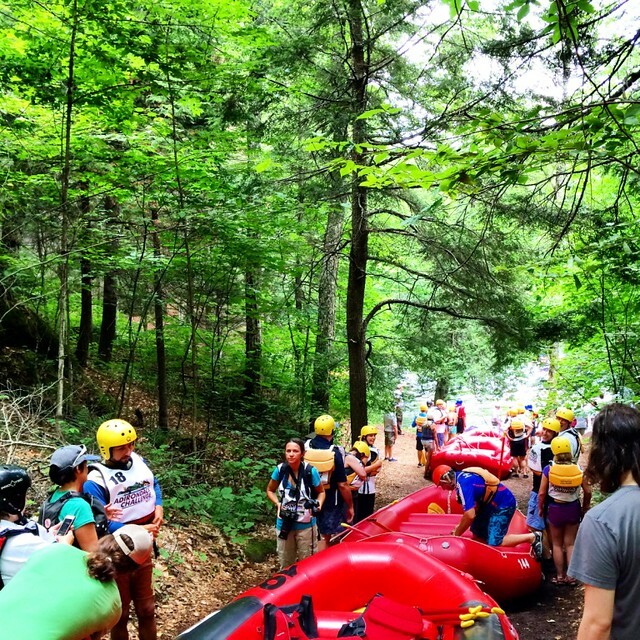 As we put on our gear, we chatted with our raft guide, Mark, who has been raft guide for 18 summer seasons and works at the ski resort in the winter. Many locals say they take on several different jobs, depending on the season. 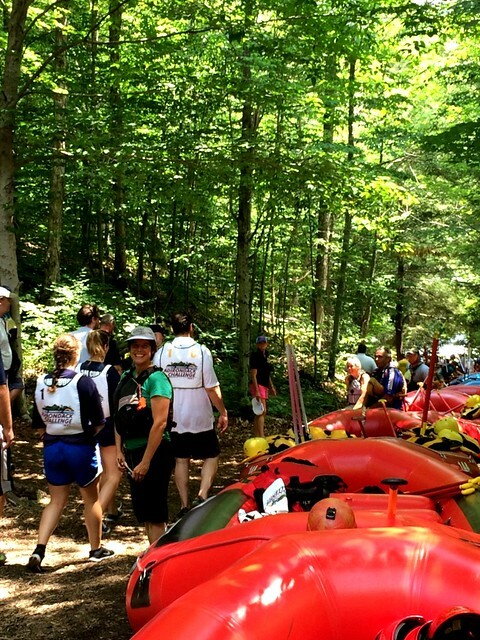 Many other legislators also joined in the Adirondack Challenge activities, including Senator Kevin Parker, Senator Betty Little, Assemblymember Deborah Glick, Lieutenant Govenor Kathy Hochel, and Congresswoman Elise Stefanik. 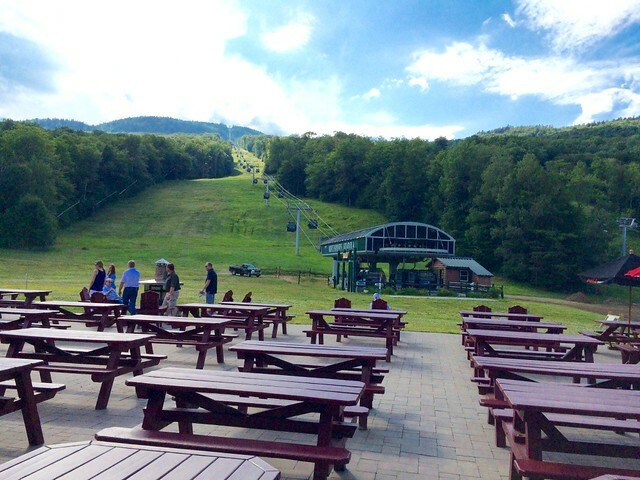 Following the day of outdoor activities, guests were invited to the Taste NY reception and awards ceremony at Gore Mountain where Governor Cuomo elaborated on his plans to expand tourism efforts. He will double the advertising budget for ads promoting the Adirondacks, which will begin running on New York City buses and subways in an effort to get city dwellers exposed to nature. The New York State Department of Environmental Conservation (DEC) also dedicated an additional $2 million to improve campsites throughout the state. With this additional exposure, people will recognize the proximate nature of the North Country from NYC. In a partnership between I Love NY and Hampton Jitney, there are now buses from NYC, booking wine tours and ski trips, and experiencing festivals and other special events across New York State, is made easy. Take a look at upcoming trips here! Soon they will also launch an app that will facilitate trip planning even more. 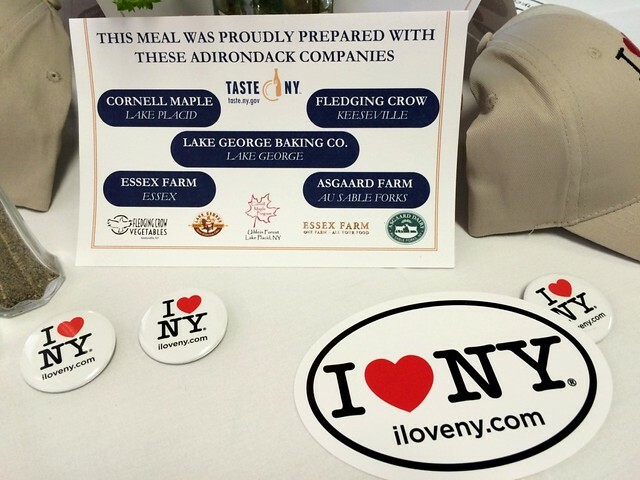 These efforts by Governor Cuomo have not gone unnoticed, and regardless of political affiliation, many influential legislators have acknowledge his efforts and have seen growth in their communities Upstate.